How do you describe the life of a person who made an impact on every person’s life she entered? Corrie Seyferth will be remembered for her beautiful blue eyes, engaging smile and sweet spirit. Corrie Seyferth, 94, passed away on Feb. 10. A memorial service will be held April 13. She was caring, wise, generous, creative and fun. She touched people’s lives in the most deeply meaningful way. She had a rare combination of spontaneous love of life with acute business acumen. 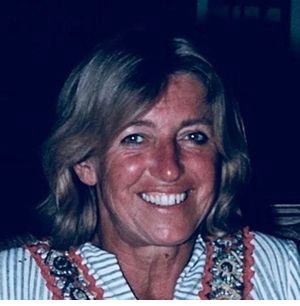 She was a pioneer on the real estate front as one of the original owners of Scott Associates — which became one of Connecticut’s most successful real estate firms. A nurse by training, she was the wise counselor, not just for her lucky family, but so many in need of a compass at the right time in their life. Corrie went to be with her Lord on Feb. 2, 2019, surrounded by the love of her family and a host of the most amazing caregivers a person could be blessed to have watched over them. She was 94. Cornelia Ouerkerk was born July 10, 1924 and grew up in Muskegon, Michigan as the sixth of nine children raised by Nick and Maria Ouwerkerk, who came over to the U.S. in the early 1900s from Eastern Europe. Corrie married Jack Seyferth in 1948 and started her family on the shores of Lake Michigan before business took the family on an adventurous tour for the next 30 years — from Muskegon to Chicago; Natick, Massachusetts; Albany, New York; Covina, California; Swarthmore, Pennsylvania and settling in Darien in 1963 before returning back to Lake Michigan and Muskegon in 1978. After Jack’s passing in 1997, Corrie moved to Ann Arbor, Michigan. She spent the last 10 years in Atlanta with her daughter, Jane, enjoying Southern hospitality and a good bourbon or two as the night settled each evening. Her entire family feels like the luckiest people on earth to have had a mother, grandmother, and great-grandmother that was such an engaging and positively impactful person. Corrie was a gift that leaves a legacy of truly living life to the fullest that all her loved ones will embrace for generations to come. Her daughter, Elizabeth; grandson, Stephen; and husband, Jack, preceded Corrie in death. Corrie is survived by two sisters: Julia Long and Joan Nedeau; four children: Fritz (Lynn Groves) Seyferth, Jane Seyferth, Steve (Sharon Sommerville) Seyferth, and Lisa (David) Gustman; 10 grandchildren: Sean Seyferth, Courtney Clark and Neeko Seyferth; Hunter, David and Corrie Gustman; John, Alex, David and Jessica Seyferth; and 12 great-grandchildren. In lieu of flowers or a donation, Corrie would wish you to lift your head up, hug your loved ones, and dance when the music starts. There will be a Memorial Service and Celebration of Corrie’s extraordinary life in on April 13 in Muskegon. Marie Core Duffy Wootton died peacefully on April 11 in New Haven. She was 98. Patrick J. Duffy, 84, of Danbury, died at home on Feb. 28, 2019 after a long illness. Gertrude J. (Gerrie) Graham, 80, of Norwalk passed away Tuesday, April 2 at the Brightview Assisted Living Center in Norwalk. Mrs. Graham was born Oct.